Surely some numbers cruncher in the sociology department at one of the universities must be doing a study of how many pizza joints per 100,000 population any one city can support. Surely Louisville is a prime candidate for such a study, with the F&D listing for Pizza growing every issue. 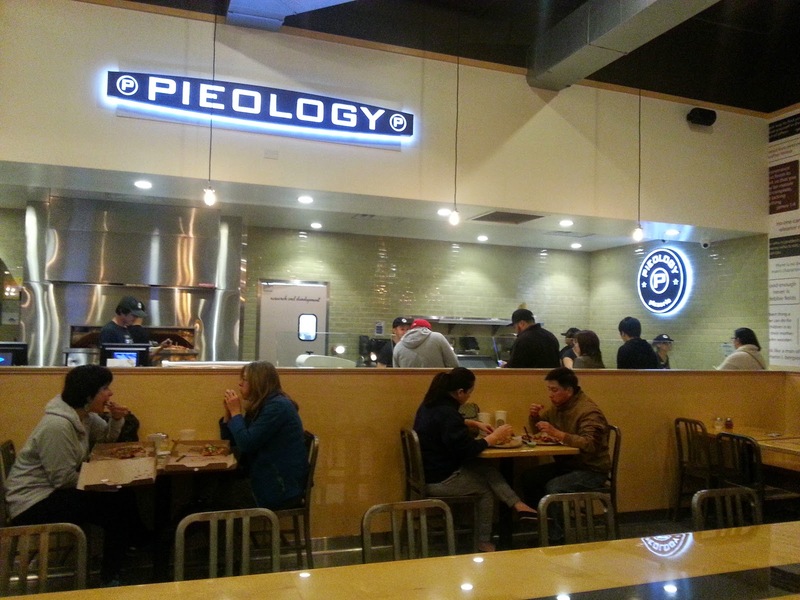 The latest to join the fray is Pieology, a California-based chain, open now at 2043 S. Hurstbourne Pkwy. The corporate angle at Pieology is that they serve one size pie only, an 11 1/2-incher, which is made to the diner’s specs in front of his eyes, then baked uber-quickly in a flaming oven. There are choices of sauces, of cheeses, of meats and other toppings, an unlimited number for one price, $7.95–unless you just want red sauce and mozzarella for a buck less. For those who find such choices a paralyzing confrontation, there is a list of favorites–Mad to Meat You, Hickory BBQ Chicken, Rustic Veggie, and so on. 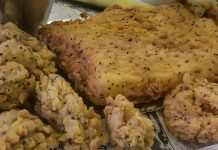 A garden salad and a Caesar are also available, with and without chicken supplement. Pieology outlets seem ubiquitous in Southern and Central California, but the Hurstbourne store is the first one in Kentucky.